Primary Possibilities: Guest Blogger Joey! 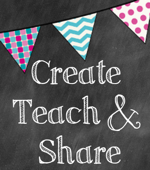 Today, we are hosting Joey from "Create Teach and Share" who is super creative and has great ideas! Go check out her blog and see some of the other ideas that she has (like her super cool globe light)! After racking my brains trying to teach my students how to use a ruler, I decided that enough was enough! For me, the number one problem was the size of the rulers themselves...and needless to say...the itty bitty lines on them, that they are expected to read! My poor kiddo with glasses as thick as my shower doors...I think this will help! 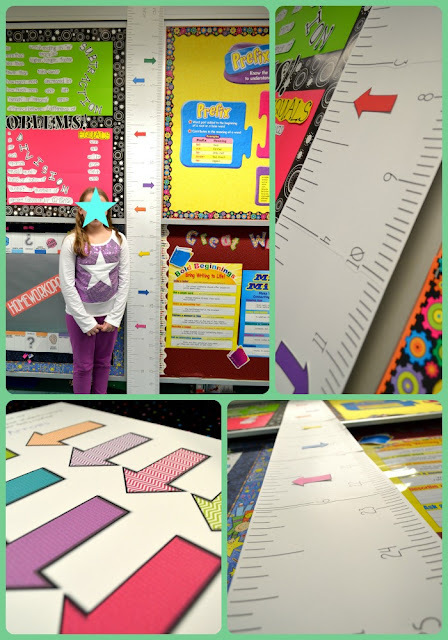 Anyhow, the solution to this problem that would be simple for not only myself to create, but all of you as well...is an 8' 8" printable ruler! I made it so that teachers could put it anywhere in their classrooms that they would like, as well as make it as long or as short as they like! I also made some colorful arrows that can be moved around each day for a great "Daily 5" or morning work activity! Go check out Joey's blog by clicking on the button below! 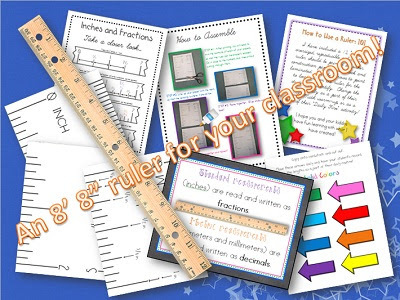 I love the ruler idea! Thanks!